Happy Monday! I owe you all a big explanation as to where I’ve been … I only have 1 day left of school before the semester is over. That means that I only have 1 more day and then the panic and anxiety of finals kicks in. I only have a week before my first final and in the mean time I have a 25 page paper due, Thanksgiving and my brother’s birthday. I also had a paper due this morning. And just to add to my stress, I don’t have a single outline started! 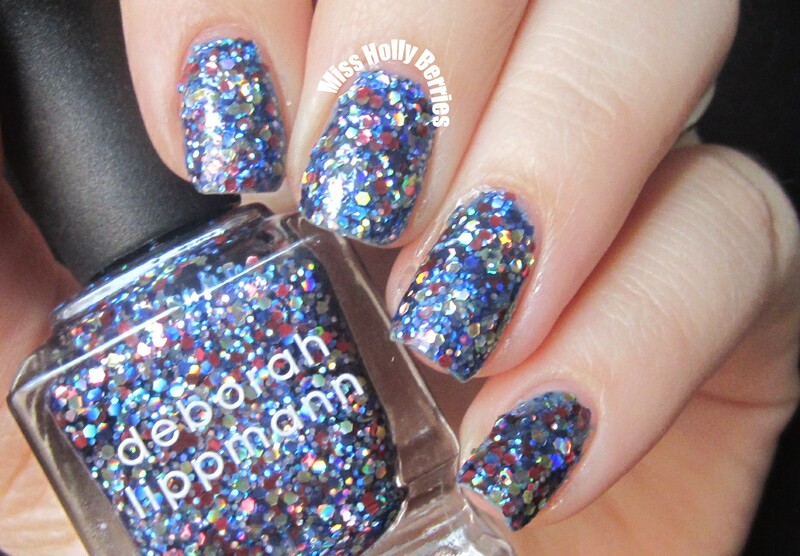 Deborah Lippmann “Stronger” is a big hodgepodge of colors so lets see if I can name them all … there are blue hex glitters, red hex glitters, holographic silver hex glitters, smaller holographic silver glitter, smaller blue glitters, and perhaps gold glitter. All suspended in a sheer periwinkle jelly base. This polish is intense! The formula on this polish is thick and a little hard to control. The pictures above are 3 coats and completely opaque. It was almost opaque in 2, but I did notice some bald spots. 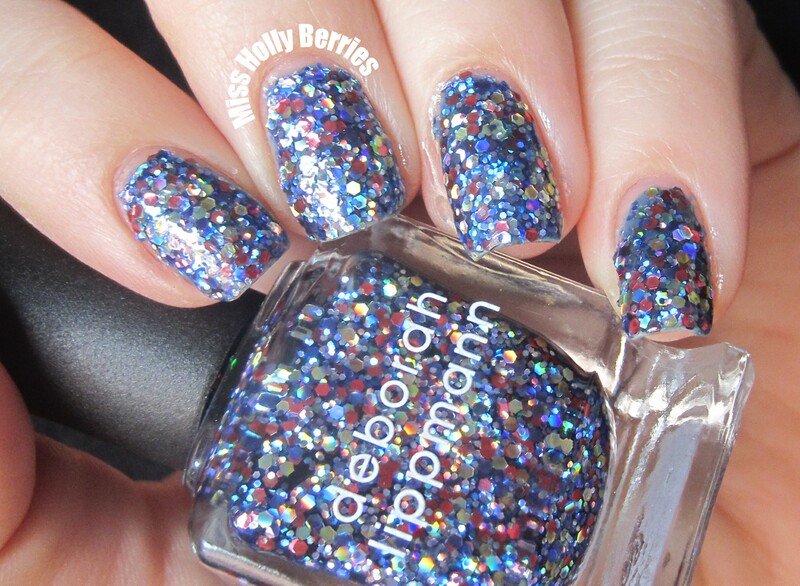 While it is awesome to be able to get this polish opaque, I think I’ll just wear this as a topper. It dried really quickly but be sure to do minimal strokes on the nail or else you will move the glitters around. What do you guys think? What are your favorite glitters at the moment? Can we say ‘party in a bottle’?! OMG…gorgeous!! this would look so good on you lu! Is this hard to get off? haha i know that feeling! taking it off i get glitter everywhere! Oh wow, that’s a glitter BOMB alright. Thick and hard to control – yes, exactly! I have this polish, too, and I thought it was going to be more jelly-like. It’s almost kind of dry? And you totally have to wait between coats until they’re beyond dry, or else everything will just slide off your nails. I really wanted to like this one, but I fear it was a bit of a dud for me. I use mine as a topper, too, but it actually has a lot of tint in it, so everything comes out…blue. This color is absolutely gorgeous!! I love it!! !